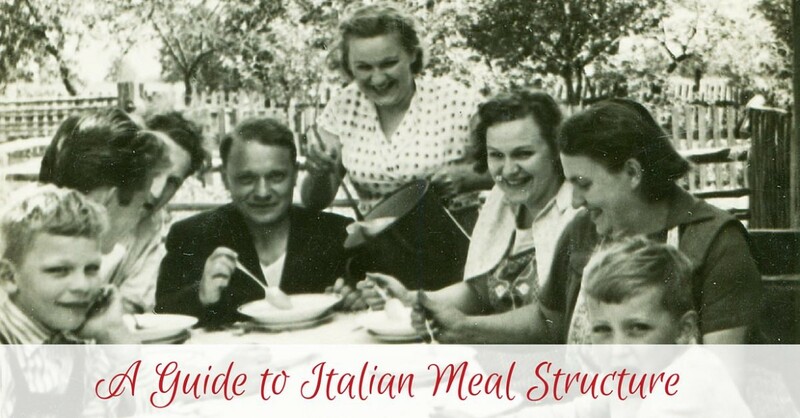 With Italian meals, there is a specific structure cultivated over centuries of eating that is a master class in how to best enjoy food and company. 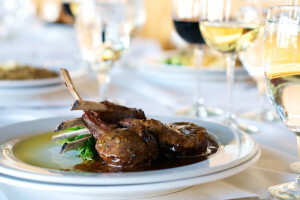 Not all dinner meals – known as cena – consist of all of these courses; often times, the numerous courses are reserved for festivities or celebratory occasions. At Cucina Toscana, we structure our menu to closely resemble the courses of a traditional Italian meal. We hope this guide whets your appetite for dinner. The aperitivo begins the meal. Like the French aperitif, this course may consist of bubbly beverages such as spumante, prosecco, or champagne, or wine. The aperitivo is also the appetizer course; small dishes of olives, nuts or cheeses may be available for diners to nibble on while they wait for the next course. This course is commonly considered the “starter.” The antipasti dish will be slighter heavier than the aperitivo. Often times, the antipasti may consist of a charcuterie platter such as salame, mortadella, or prosciutto, served with cheeses and bread; other times, you may find a cold salmon or tuna antipasto, or a bruschetta. Primi is the first course to contain hot food and is often heavier than antipasti dishes. Generally, primi dishes do not consist of any meat. At the same time, primi dishes may contain fine and luxurious ingredients, such as truffle or seafood. Risotto, gnocchi, soup, lasagne, pasta, or broth are all common primi dishes. In this course, you will encounter different meat and seafood options. Depending on the region, you may have chicken, beef, pork, lamb, or turkey prepared in a variety of different ways, from a sausage to a roast to a grilled meat. In terms of seafood, you might find fish, shrimp, lobster, or some other kind of “meaty” seafood. If there are two dishes in the secondi, a sorbet palate cleanser is served between them. Contorni dishes are served alongside secondi dishes. Common cotorni dishes are vegetable-based, whether raw or cooked. They are served on a different plate than the meat or seafood of the secondi, so as to not mix on a plate and allow for the preservation of the integrity of flavors. If there are many leafy green vegetables in the contorni, an insalata, or salad, might not be served. If not, then a salad will follow the secondi. Now, as we near the end of the meal, there is an entire course dedicated to cheese and fruit. A selection of regional cheese will be presented, with seasonal fruits that complement the flavors of the cheese. Dessert! 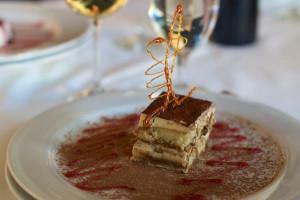 Options range from tiramisu to cake or pie to panna cotta. 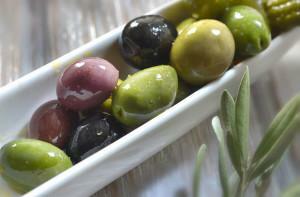 You may also consider a sorbetto or gelato for something lighter and more palate-cleansing. Certain regional specialty desserts such as zeppole or cannoli may be served. 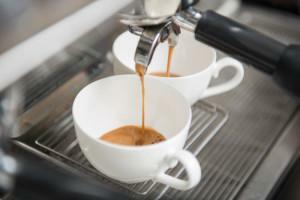 A strong espresso is served after dolce, often served very warm and without any milk or sugar. To close out this intricate, decadent Italian meal, the final item is a digestive alcoholic drink, such as limoncello, amaro, or grappa, which aids with digestion.